“It was called the Ship of Dreams.” Today, April 4, the Titanic in 3D movie opens in theatres, in anticipation of the 100th anniversary of the sinking of the Titanic on April 15, 1912. I will be in Halifax — the only officially designated Titanic city in North America — on April 15, 2012 for the commemoration events. Fully 100 years later, people are still fascinated by this tragedy. 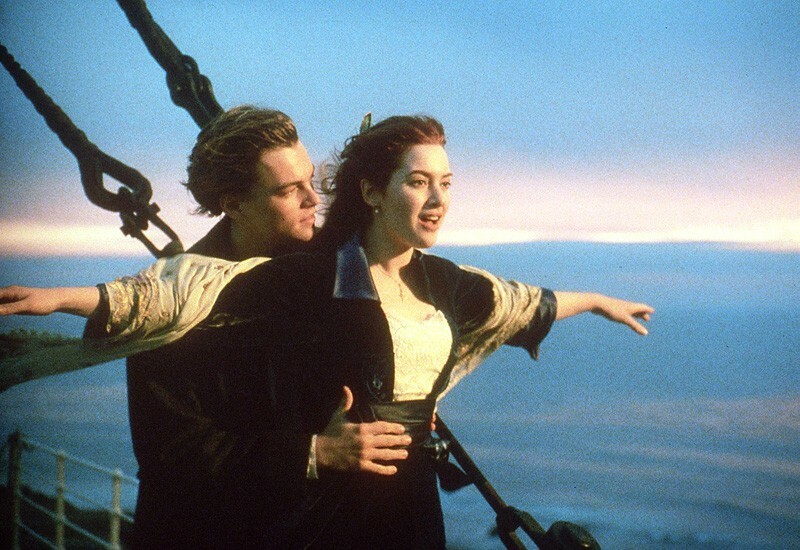 The James Cameron-directed Titanic movie is the second highest grossing movie of all time (after Avatar, another Cameron flick). And the Titanic 3D movie is sure to do well this time around. See trailer, below. 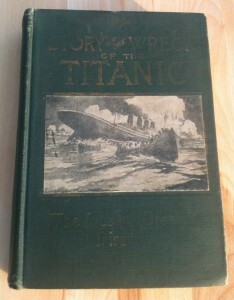 When I was a child, we spent our summers at a cottage in Ontario, and our book collection included The Story of the Wreck of the Titanic by Everett Marshall, a “minute book” published in 1912, only weeks after the sinking of the Titanic. It was this “minute book” that captured my interest. I felt an inexplicable empathy for the victims, many of whom did not die suddenly, but slowly, knowing there was no hope. 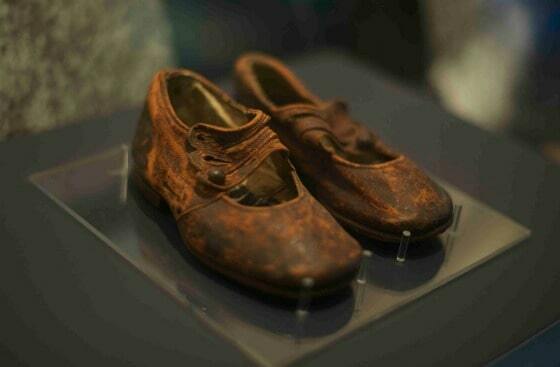 They were completely abandoned, not only on the night of April 14, 1912, but in the weeks, months and years beforehand, as the ship’s designers, builders and operators did not seek to ensure their safety with the provision of proper equipment and drills. The ship was considered unsinkable, so what was the point? I particularly remember staring in fascination at the photos and drawings in the book, like the artist’s rendering of an elderly couple in the stern, holding each other with grief and lament etched on their faces as the great ship sank beneath the waves. I bought myself a copy of this book on eBay this year for my birthday (see picture, right). Many years later, as an adult, the Titanic again loomed large in my life and imagination. I went to see the James Cameron-directed Titanic movie shortly after it opened at the Runnymede Theatre — just before the theatre was about to close and become a book store. The Runnymede was a grand old Toronto theatre frequented by my movie-mad mother as she was growing up, so the theatre and the closing had special connotations for me. I was hit hard, emotionally, by the movie, especially when Rose dies at the end. I cried so hard my boyfriend had to steer me out of the theatre. The next day, I went to make lunch for my mother, who was sick, and I sat on her bed and told her all about the movie and the theatre closing, as she ate. It was almost the last time I saw my mother alive; she died suddenly in her sleep of heart failure a day or two later. I now think the Titanic movie hit me so hard because, subconsciously, I knew my mother was dying — though consciously, I thought she just had a chest cold. My mother died in January 1998, and I was hit hard by grief and the trauma of finding her body. By late spring, I was still flailing, unable to work or function properly, consumed by feelings of loss and regret, and in great pain. I decided to take a vacation by myself, for the first time, and I felt called to go to the ocean. 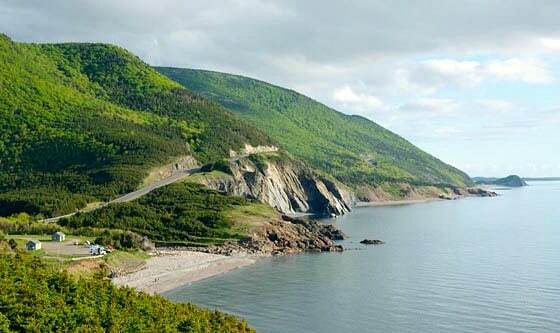 I went to Halifax and Cape Breton Island, Nova Scotia, sensing that it would be both a wild and gentle place. At the north tip of the island, I poured out my grief to the vast ocean, as the steely waves pounded against the rocky coastline. At that time, I was younger and had long reddish hair, and the Titanic movie was very much in the public eye. A woman at a B&B I stayed in felt I bore an uncanny resemblance to Kate Winslet, who plays Rose in the movie. Perhaps it was just her feverish imagination, but she mentioned it several times. Later, when I was in Halifax, I toured the Titanic exhibit at the Maritime Museum of the Atlantic and also visited the Titanic grave site — where I was VERY SURPRISED to come across a grave marker for J. Dawson. It all seemed strange and coincidental. It didn’t happen right away, but several years later — after my fiance left me and my father died of cancer — I started following my dreams. The way Rose did after Jack died in the Titanic movie. There is a truth in that movie that I have discovered in my own life. After the loss of my parents, I felt compelled to start following my dreams, come what may. It’s the primary motivation that has propelled me forward these last six-eight years, and given a meaning to my life that keeps me traveling, dreaming, writing.